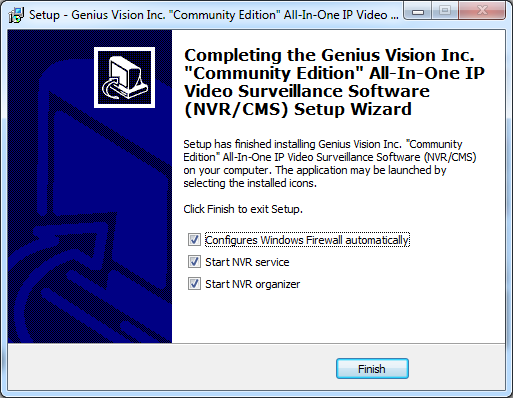 Visit /community.html and download Genius Vision NVR software. 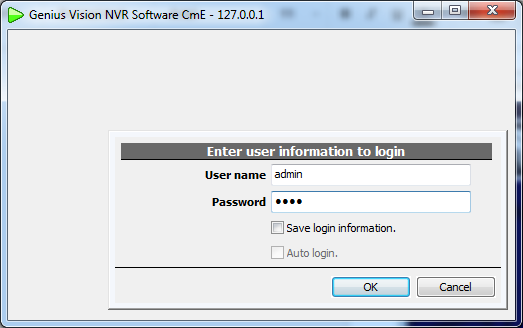 Click Next all the way to install NVR software. Normally you don't need to change anything. 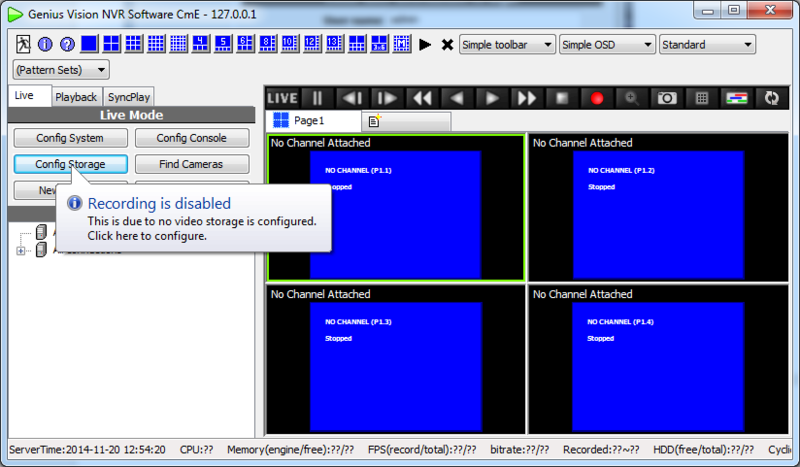 Before using NVR, Storage must be configured first or video will not be recorded. Click Config Storage to invoke config dialog. Enable at least one directory and click OK to save the settings. 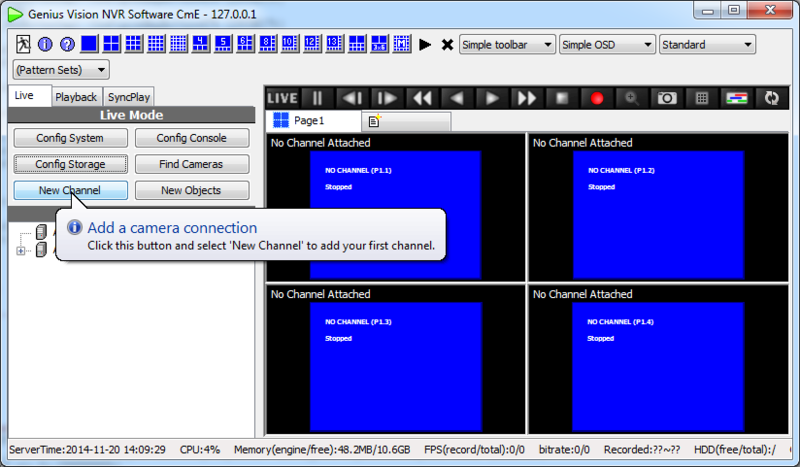 Now you can connect to your IP camera by adding a new channel. Click New Channel to proceed. 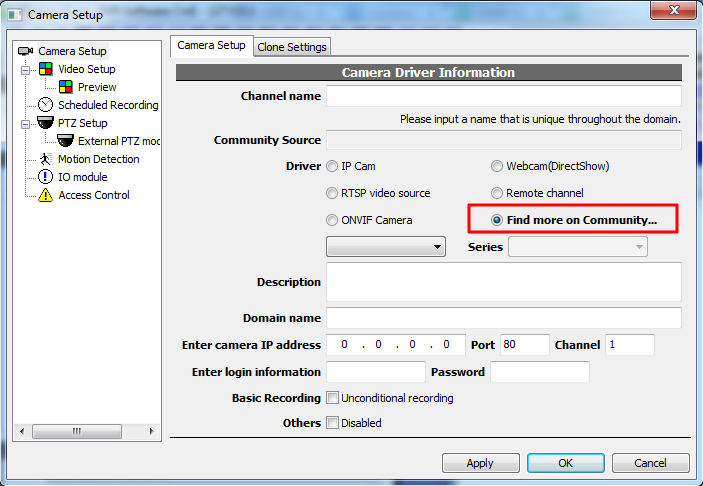 To download camera settings from Community Platform, click "Find more on Community…"
You will see this message dialog if camera settings is downloaded successfully,. Channel name: A locally unique name to identify this channel. 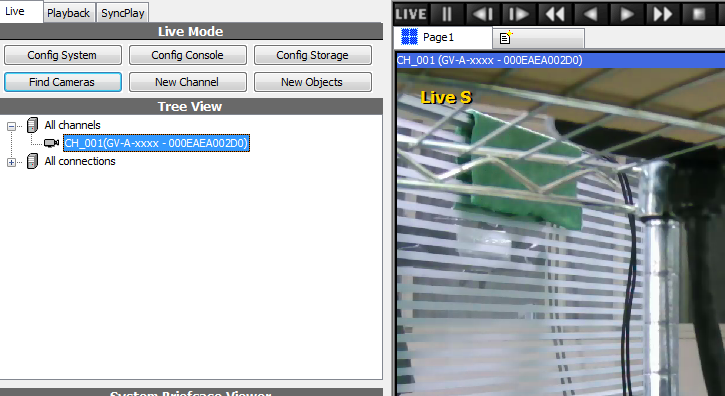 IP address: Refer to camera manual or use find tool provided by camera manufacturer to find the address. 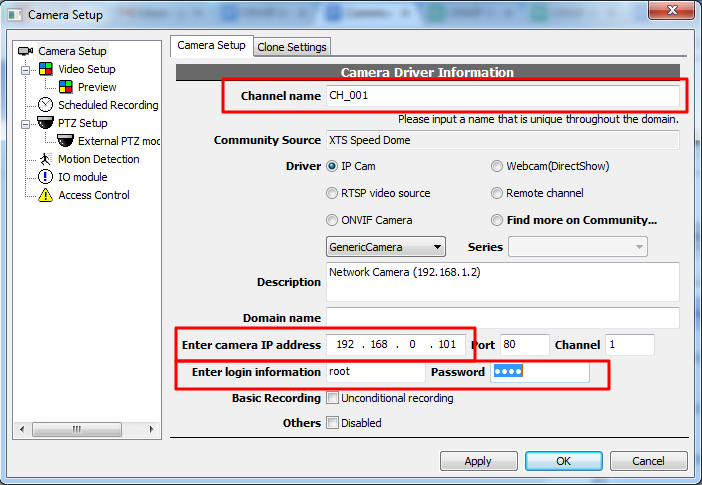 Login information: Refer to camera manual to find default username/password. 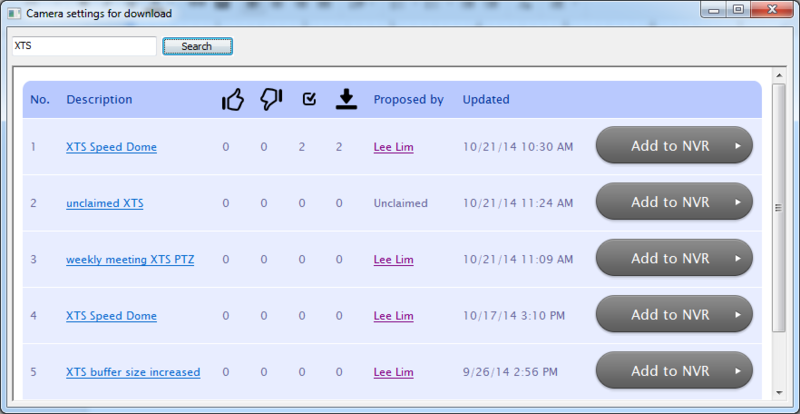 It may or may not be included in camera settings downloaded from Community Platform. Now everything is ready. Click OK and the camera will be connected.